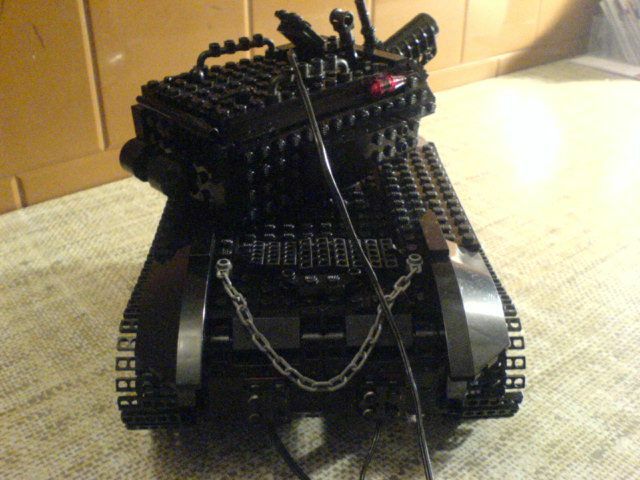 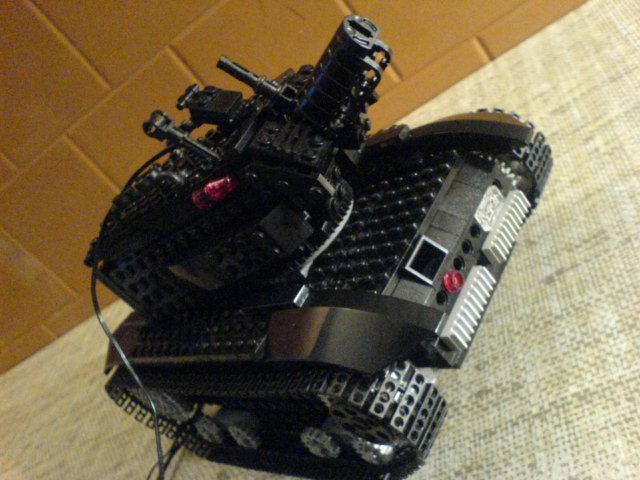 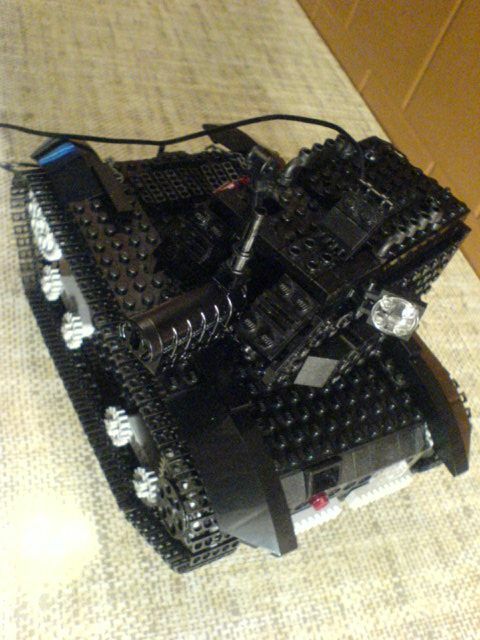 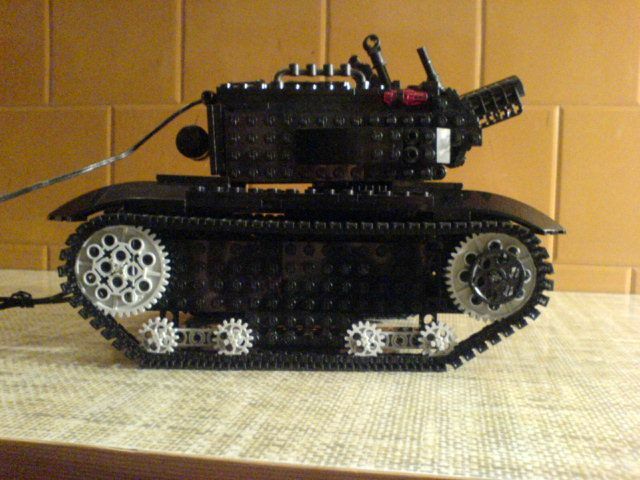 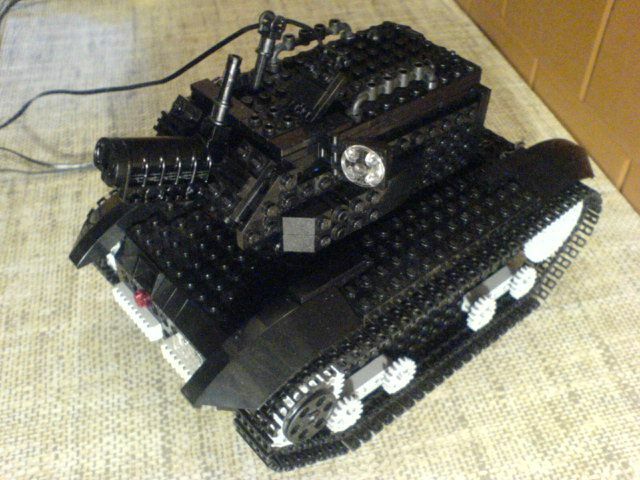 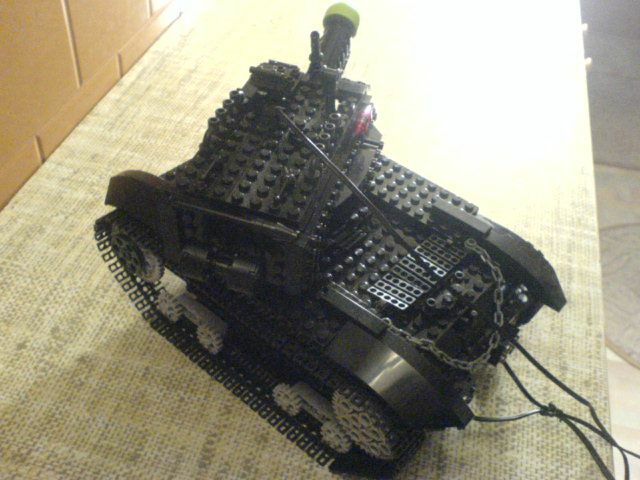 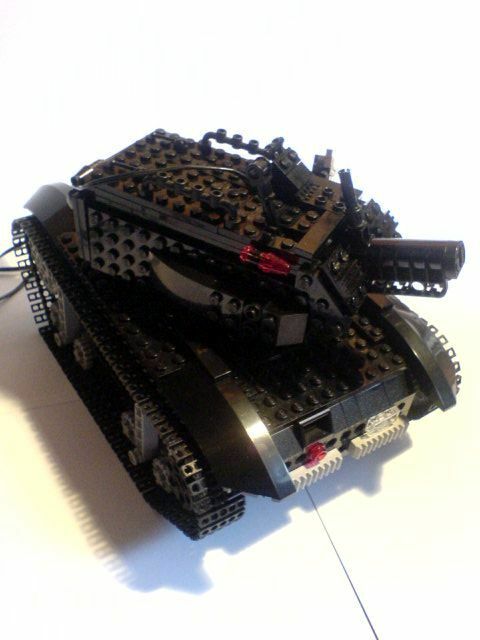 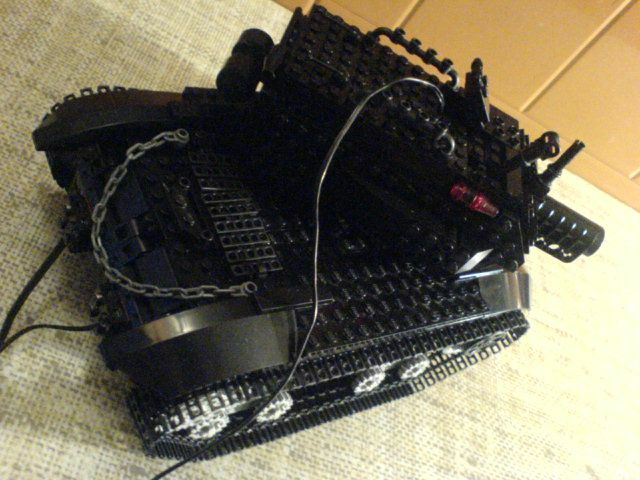 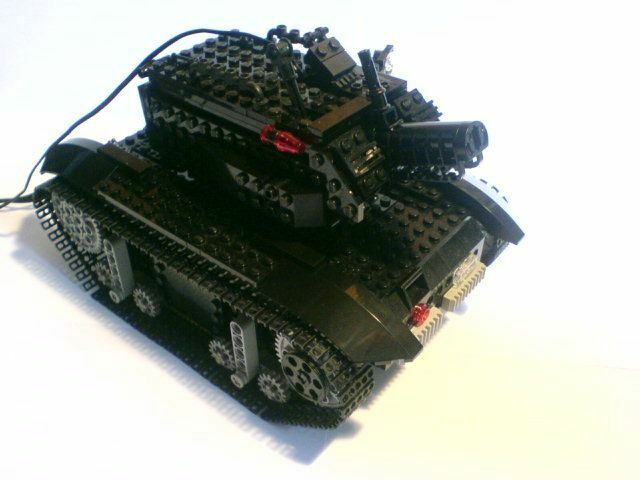 My first tank, features a drivetrain with the subtractor, simple suspension, rotated turred and elevated cannon. 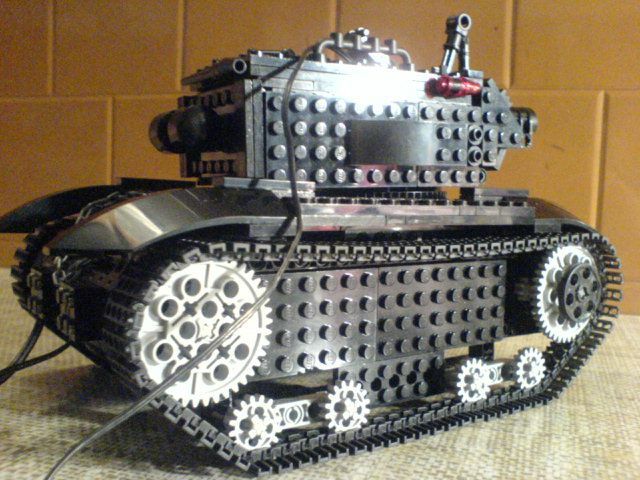 That’s more or less how my fascination by tanks started. 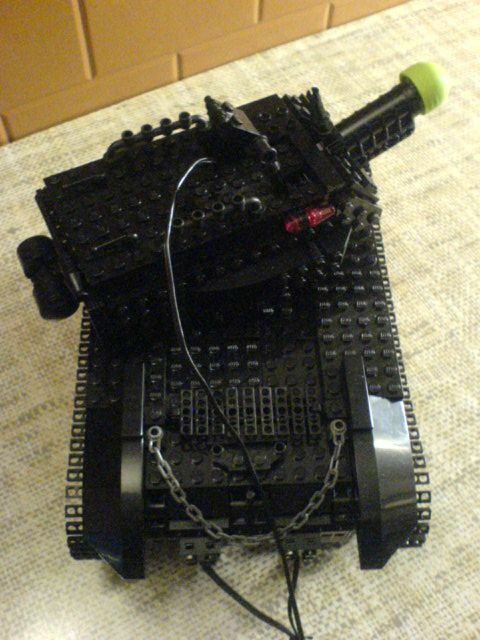 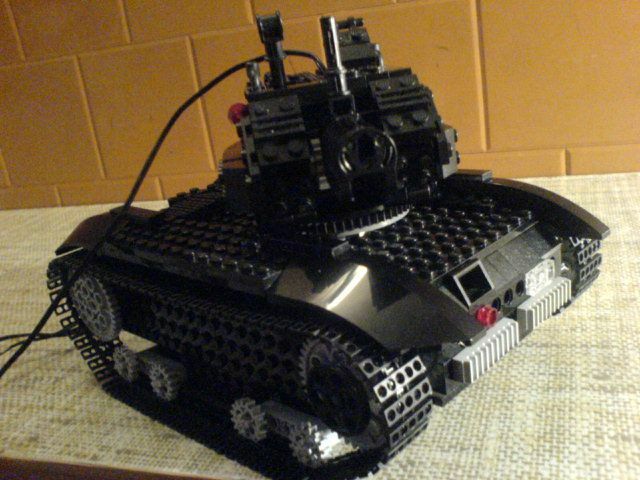 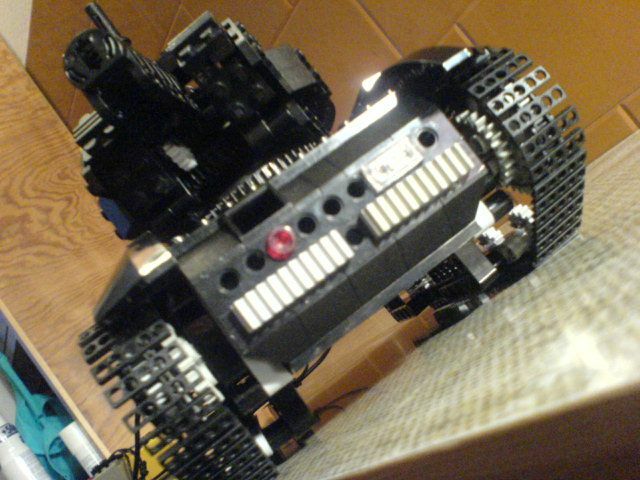 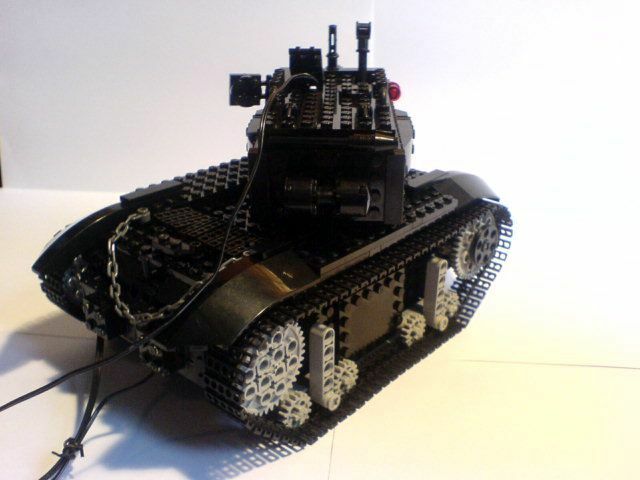 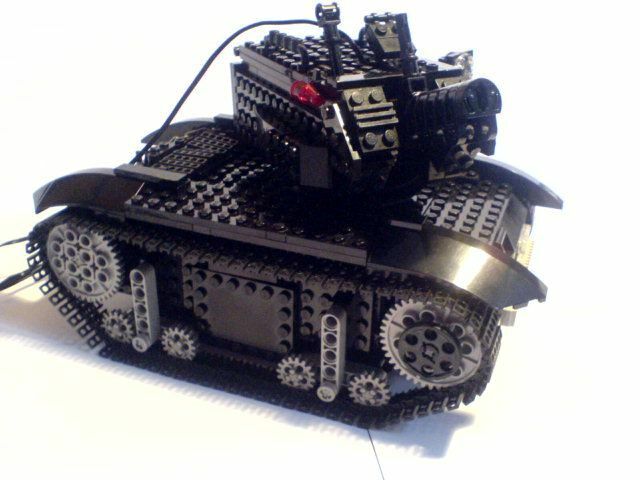 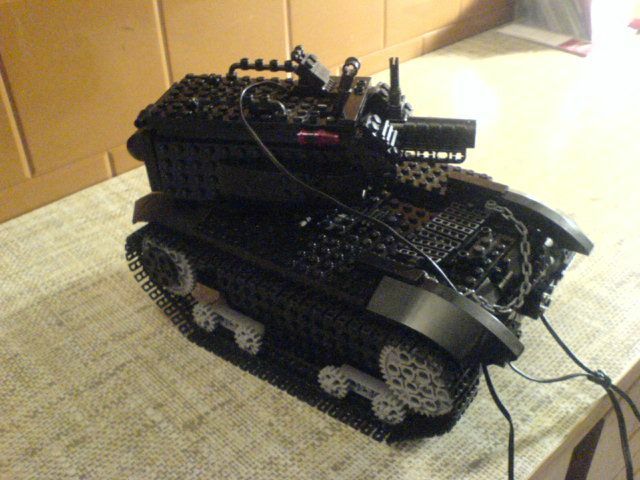 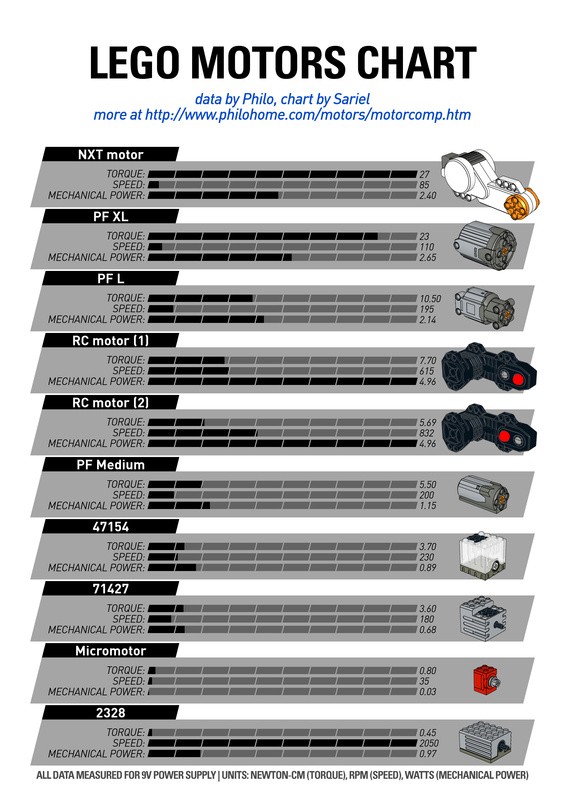 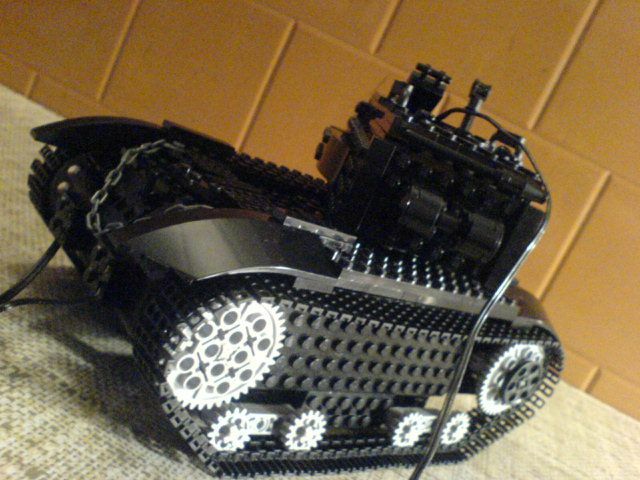 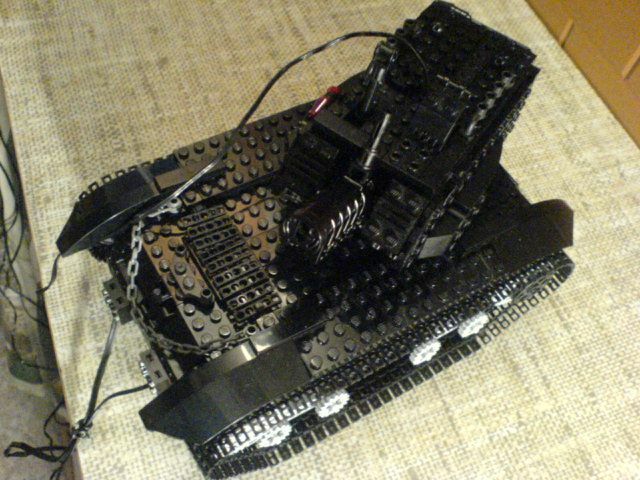 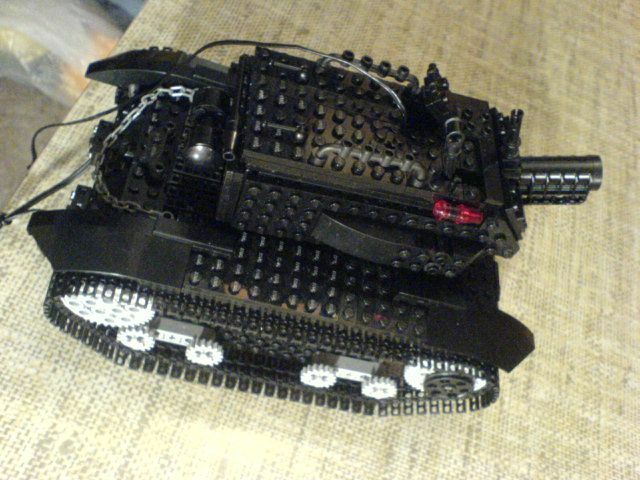 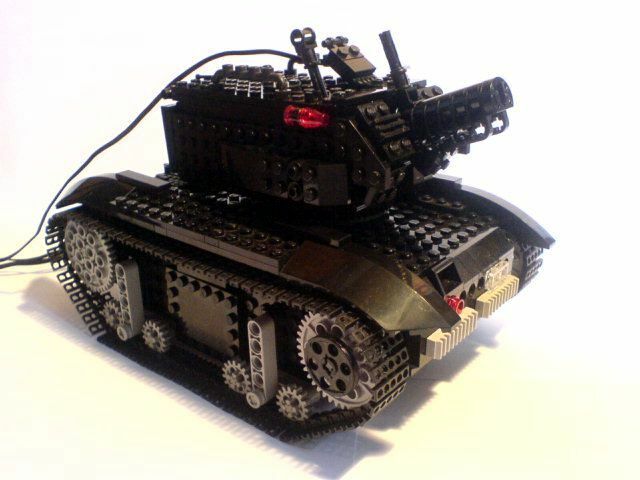 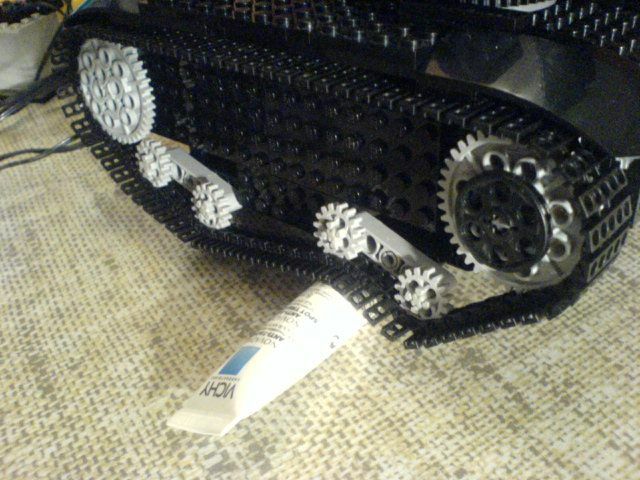 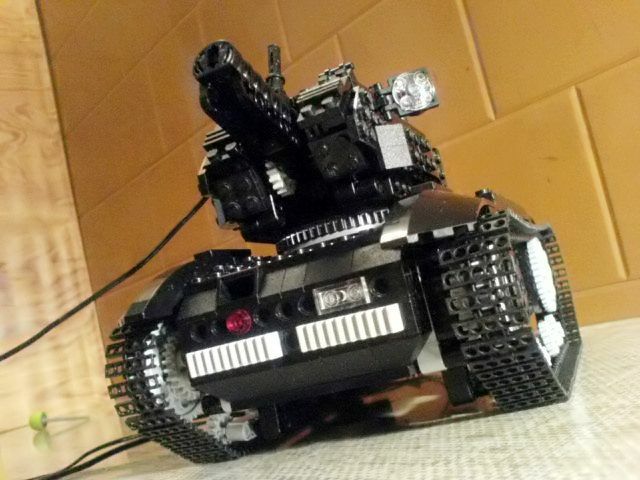 It may seem surprising, but this little tank contains two RC motors connected by the subtractor. 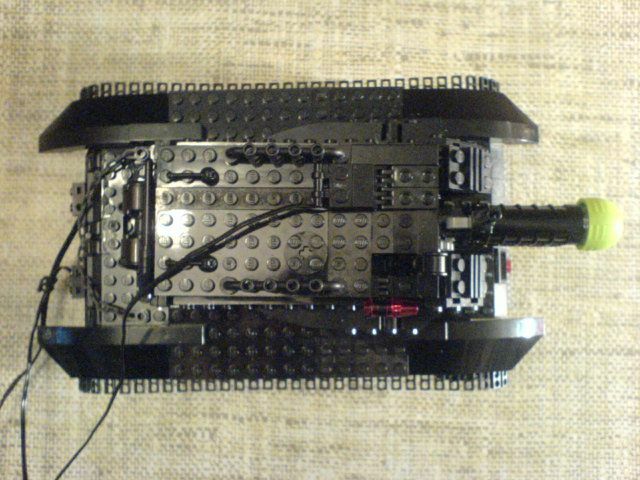 The whole hull is built around them, and there’s nothing else inside. 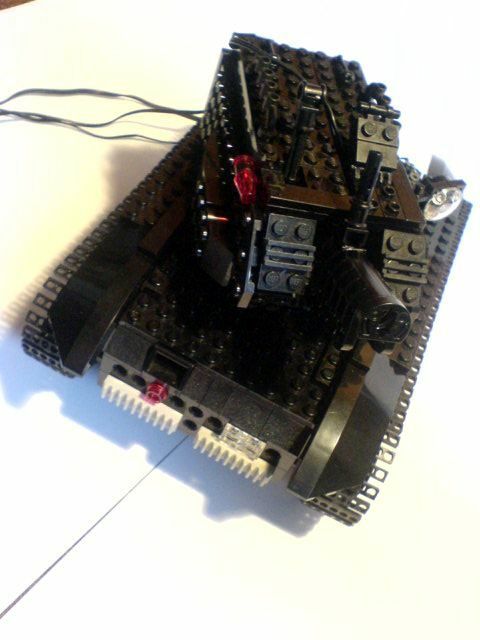 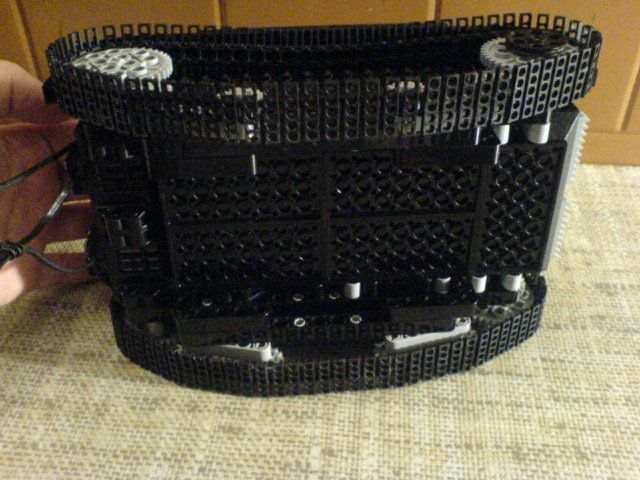 The turret can be rotatet throught 360 degrees by a 71427 motor at the back of it. 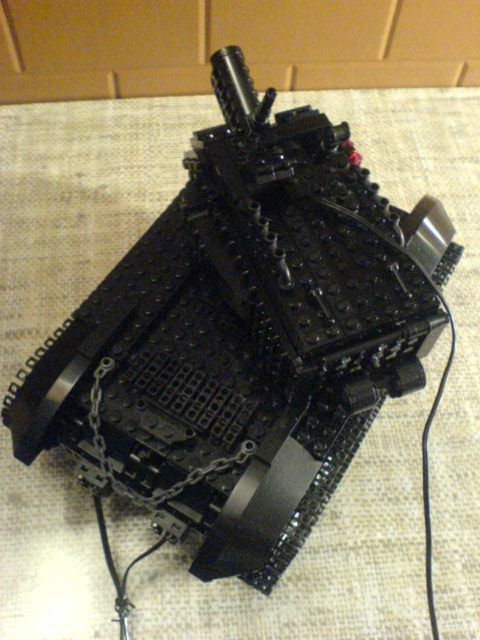 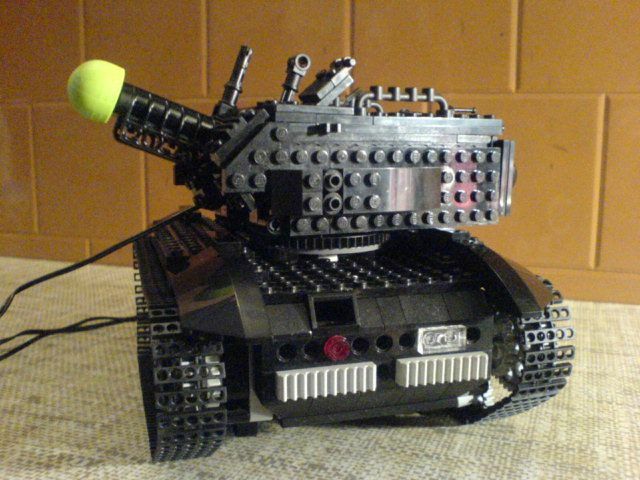 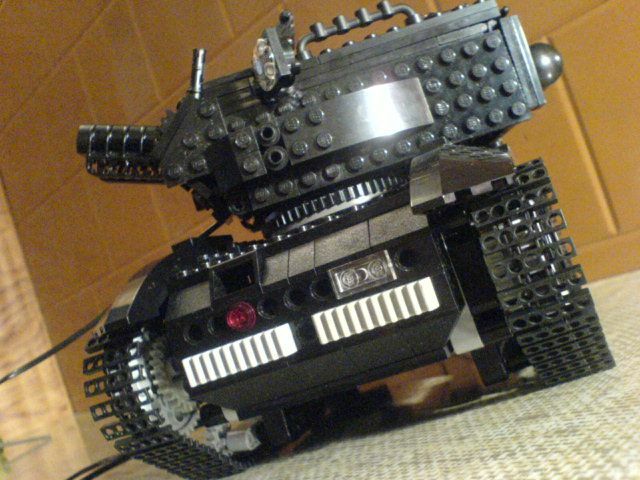 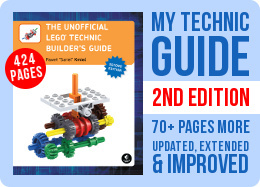 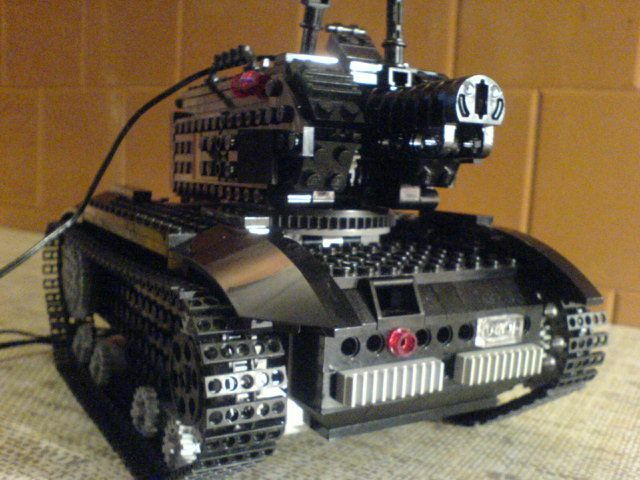 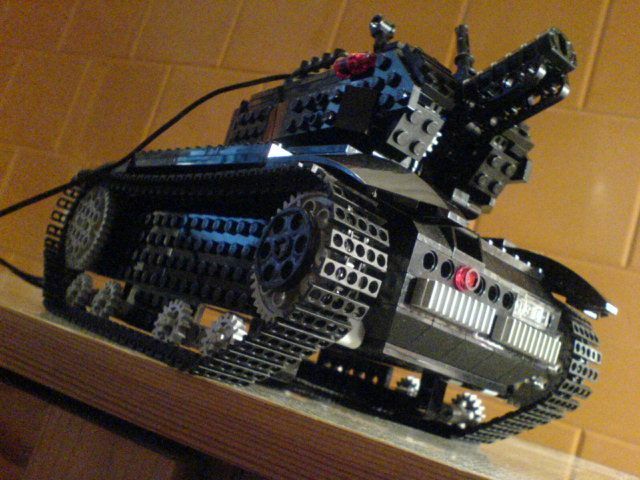 The cannon is a regular LEGO Technic Competition Cannon, which can be elevated manually by the lever on top of the turret. 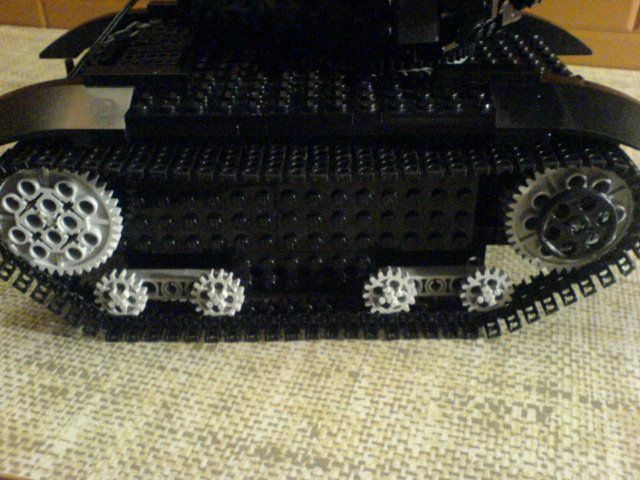 To make this mechanism resistant to the cannon’s weight, I have used gears mounted on axle pins with friction. 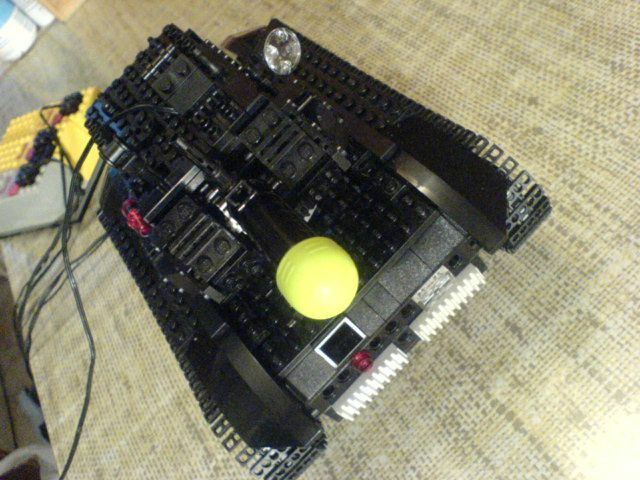 Note that the hull is so full of mechanics, that I couldn’t put the 71427 motor’s wire through there, so it comes out of the turret’s hatch.